in Social Media with tags #Art140, #TrendingVending#SXSUBWAY, AirBnB, Billion Back, Billion Back Records, h&r block, MoMA, South by Southwest, sxsw Both comments and trackbacks are closed. Last week the South by Southwest festival in Austin officially kicked off, and the event was accompanied by many new brand activations. In addition to our client Oreo using real-time Twitter trends to assign flavors and create cookies with a 3-D printer, 360i-managed client SUBWAY also used the festival as an opportunity to share its newest product — the Flatizza— as part of its #SXSUBWAY activation. Read on to learn more about this week’s highlights. Another initiative announced at SXSW was The Museum of Modern Art’s Art140. The effort is giving fans an opportunity to share their opinions on several popular masterpieces and is sparking online conversations on Twitter. 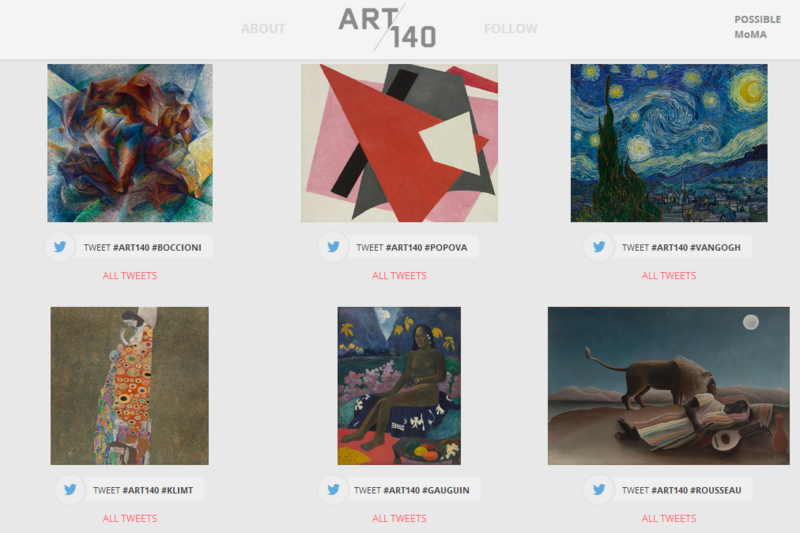 The museum is inviting people to visit the “Let’s Hear What Art Means to You?” section of their Art140 website and comment—both positively and negatively—on pieces of art by tweeting their opinions using the hashtag #Art140. Over the past week, MoMa’s Twitter following of 1.6 million embraced the opportunity, and the museum has seen the hashtag used over 1,700 times. AirBnB also leveraged the festival by reaching out in real-time to those in need of a place to stay in Austin, as well as offering up some great rewards to those who engaged with the brand on social. The effort resembled the company’s previous interactions with visitors of the Sochi Winter Olympics but expanded beyond just journalists. While AirBnB was able to take advantage of the festival to surprise and delight fans with rewards and help in time of need, the company doesn’t just limit its gift giving to large scale events and festivals but consistently reaches out to fans in real-time throughout the year. This week 360i client H&R Block launched its ‘Billion Back’ campaign to encourage taxpayers to file their taxes and not miss out on the billion dollars collectively left on the table last year by Americans doing their own taxes. To help people get the most out of their tax returns this year, the company partnered with ten up-and-coming YouTube artists to build Billion Back Records. As part of the label, the artists are releasing original music videos every few days on YouTube to build excitement around all the possible ways to enjoy a tax refund.